As with many legitimate medications that re routinely prescribed for medical ailments and diseases, the use of diuretics has become popular in those wanting to improve their performance in certain circumstances. Diuretics are what people commonly call water tablets. They are used to excrete excess fluids from the system which can build up as a result of many illnesses such as heart failure.There are several different types of diuretics each working in a different way but producing the same result. The type selected for use depends on the cause of the fluid build-up and the patients medical history.When they are being used as directed they are extremely effective, but if used without medical advice they can endanger health and carry some nasty effects. Who Uses Diuretics As A Performance Enhancer? There are many groups of sports people who use diuretics as a method of enhancing their performance. 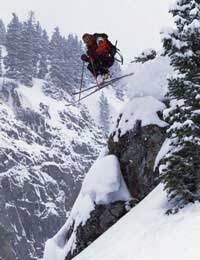 Skiers and climbers have been documented as using these products to prevent symptoms of altitude sickness and jockeys and dancers have been known to use them to lower body weight before a competition.They are also often used to flush out any other drugs from the system in the event of being drug tested for other substances. Why Can They Be Dangerous? As diuretics cause the body to excrete fluids, they can cause excess excretion which can leave the body depleted of many substances essential for normal health.Aside from feeling thirsty, the person can suffer from a wide variety of symptoms including but not limited to nausea, vomiting, dizziness, fainting, collapse, coma or even death in the worst cases. If used in excess or by those without medical input, the risks to health can be great. The body can become depleted of many different substances very quickly, some can be extremely detrimental to health.One such condition is called hypovolaemia, which means the blood volume become too low, in particular the blood plasma which gives blood its fluidity.These fluids must be replaced either by oral administration or more aggressively using intravenous fluids if severe.Hypovloaemia can lead to another condition named hyponatraemia, given when the sodium levels in the blood fall below the required level. This can be serious also and will need amending as soon as detected. Another such condition is called hypokalaemia meaning that the body has become potassium depleted which is needed for muscle and nerve activity. Again the substance will need replacing either through a diet rich in foods containing potassium such as bananas or by intravenous infusion. If the use of diuretics is causing the problem and they must still be taken the dose may need lowering or changing to another type of diuretic is needed as there are some that prevent the loss of potassium that may be suitable. Diuretics have a very valuable place in conventional medicine and are essential for treating many different illness and diseases. They can be very dangerous however, if used incorrectly especially in high doses for a long period of time.Their use should always be as instructed by a physician as the resulting dehydration can endanger life.